Owning a home is one of the many things that people usually have on their bucket list and which a lot strive to obtain. While owning your own home can be a self-fulfilling achievement, renting a residential unit also has its perks, especially when the economy is at a downturn. Renting or leasing property can sometimes be a better option for some because aside from the flexibility, renting also offers practical options such as not having to worry about repairs and maintenance costs, the access to free amenities, the ability to cut costs due to a lower rate of insurance and utility costs, and of course, the clincher: the low amount of down-payment needed. 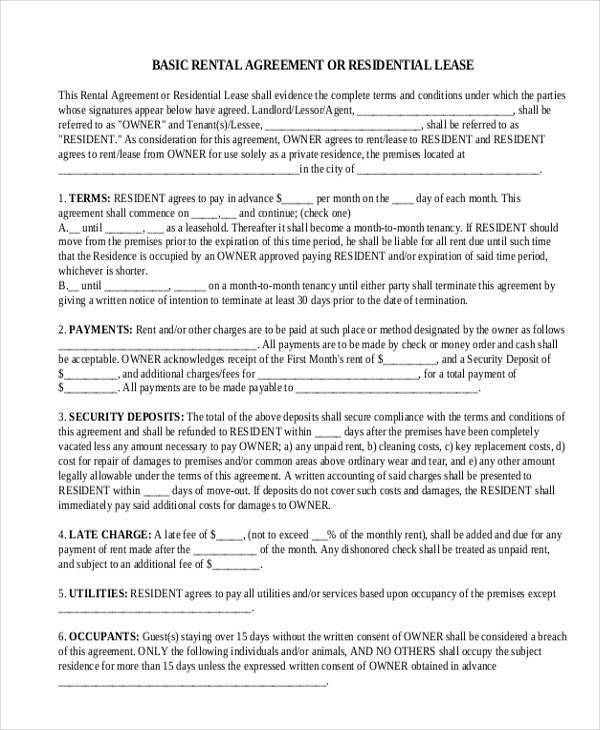 When renting a residential property, Rental Agreement Forms are a necessity. If you are a landlord who is in the business of leasing residential properties, it is imperative that you establish ways to help you secure your business. 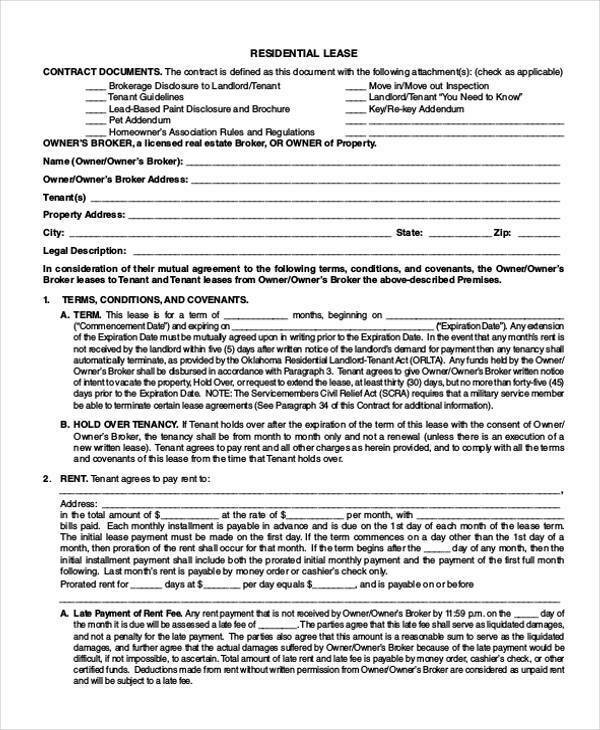 One of the ways to help you do that is by having a Rental Agreement Form or a Residential Lease Agreement. 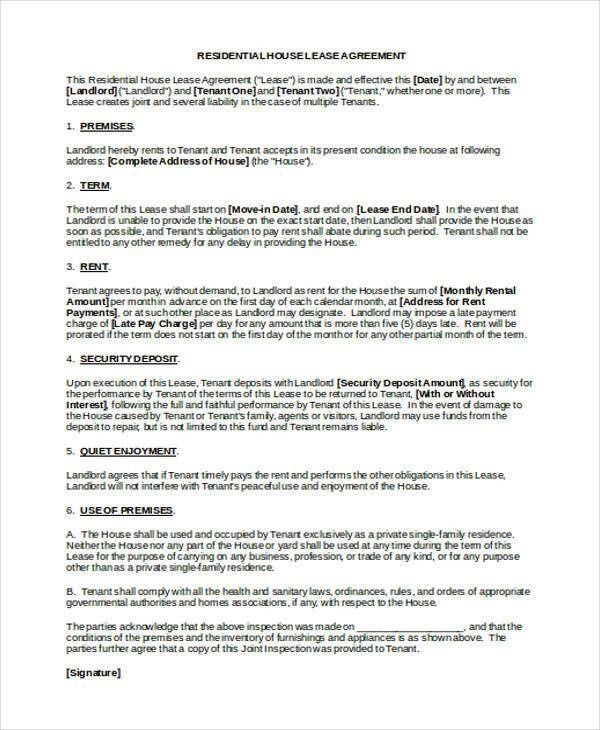 A Rental Agreement is a lawful and legitimate binding contract that lays down all the rules referring to the tenancy. 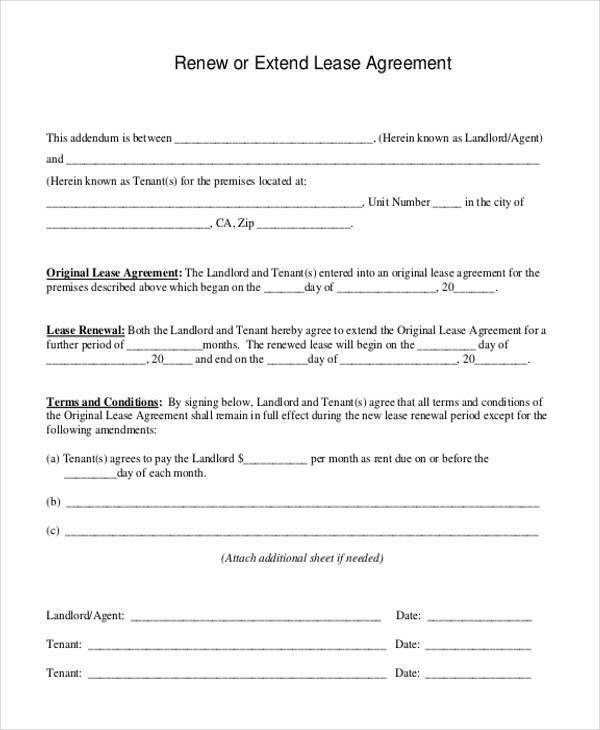 Having a Rental Agreement is significant for the business of land-lording because it helps protect your business, allows you to clearly convey any house rules that you have set up, notifies tenants of their due dates and the amount of rent due, and helps secure the proper maintenance of your property. 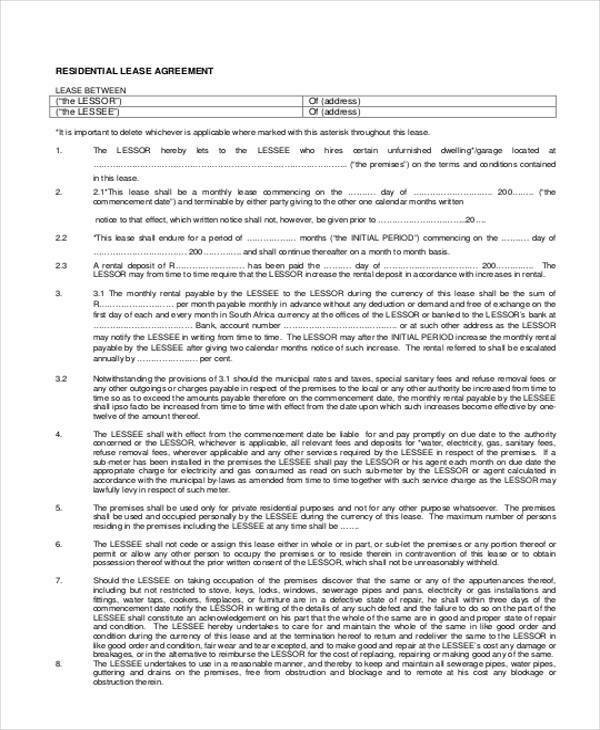 When a landlord and a tenant have both agreed on the terms and conditions for renting out a residential space, both parties have to affix their names and signatures on the agreement as a sign of willfully agreeing with it. 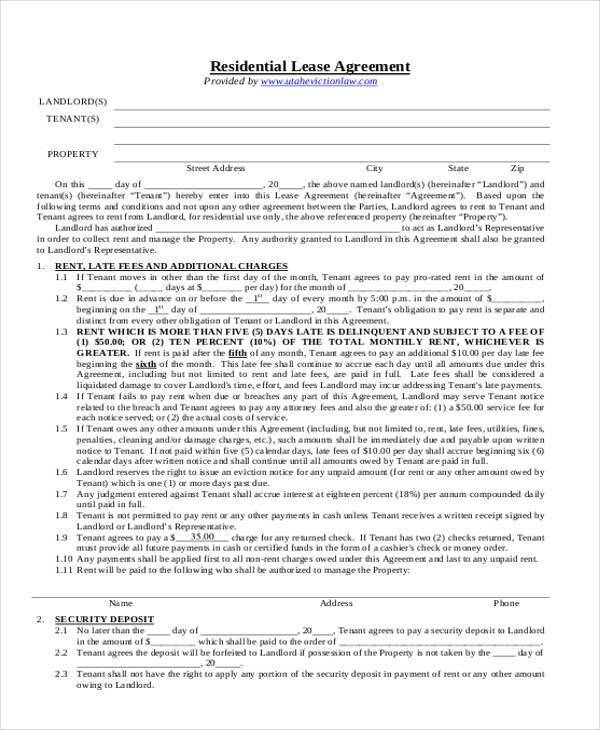 Lease Agreement Forms are legally binding, which means that both parties are obligated to abide by the conditions outlined in the agreement, otherwise, disputes can arise and lead to legal procedures. In every lease and rental agreement, the issues on maintenance and repair should always be specified. 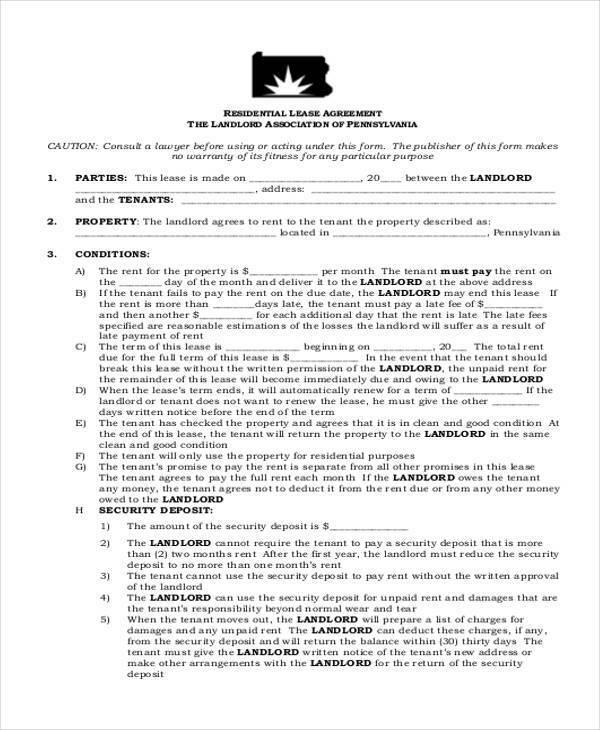 There should be terms, conditions, and regulations that should be stated so it will be easier for the tenant to know what he/she can expect if there are damages that are needed to be dealt with. Payment responsibilities with regards to maintenance is important to be identified even before the start of the tenancy. 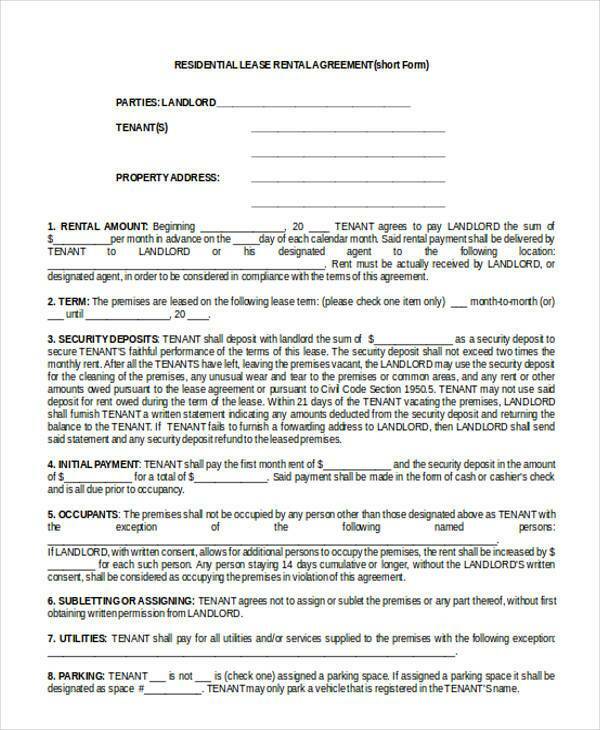 When a tenant signs a Rental Agreement, the property being leased automatically becomes his temporarily. As a paying tenant, a renter has the right to privacy within the property that he is paying for and has the right to allow or prohibit access to the property unless consent from the tenant has been given. 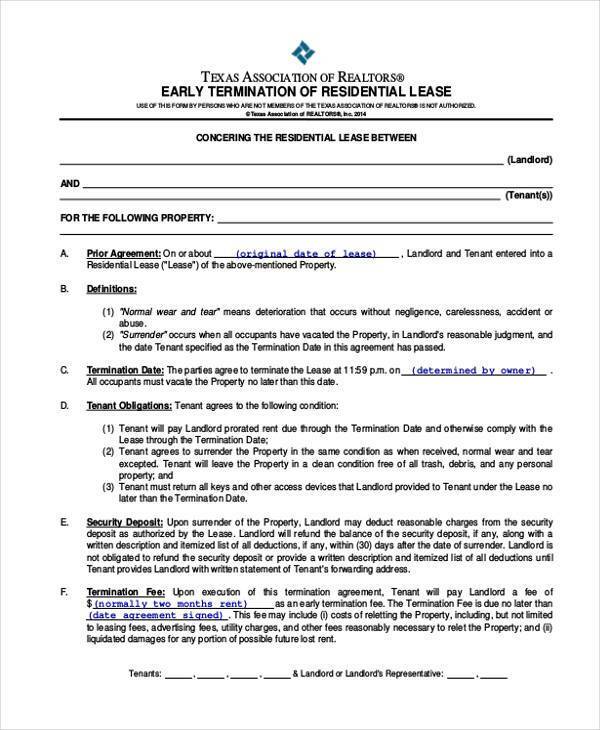 Tenants and landlords may want to terminate a lease agreement before it even ends. There are times when the act of termination is based from a mutual decision while there are also instances where termination has been the result of not honoring a condition or term stated in the rental agreement. However, as with other contracts, this has to be done through a clearly documented process to avoid disputes.